>Any disadvantages of rooting Android device. To root or not to root, this is the question. Maybe you have heard about "rooting" a android phone from a friend or read about it somewhere on the internet. Most of know that rooting means you have gained all control over the entire android operating system. (you can do anything with your android phone). The name root comes from the Linux operating system world. When you buy a new Android phone ,you are just a guest user on the phone. Guest user means you will not able to make changes to the system files. But after rooting your phone, you can make any changes to the system files on your phone and install more powerful apps that you cannot use on a non-rooted android phone. Our android phone come with many useless android apps. You can not remove these pre-installed applications. But after rooting, you can remove these applications from your android phone. After you have rooted your phone, you can run special applications on your android. Root access applications provide more features. 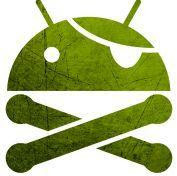 All hacking application need rooted android phone. Hacking applications are used for hacking games, for hacking wifi connections or many more. Some android user face low internal memory problem. So users who have low internal memory, can transfer any application from phone memory to external memory(SD card) after rooting their android phone. >>Killer Trick to Capture 3D images in Android. Yeah, with the help of rooting you can block annoying ads. These ads contain viruses which can damage your android or steal your private information and seriously slow down your phone. They also drain your phone battery. A rooted device can easily block these annoying ads. Once your phone is rooted you should download Ads blocking for Android. Hence, it is another plus point of root android phone. Yes, this is true you can hack wifi network and disconnect other people from the same wifi network. wifi kill is an android app for hacking wifi network. After rooting you can control useless background running apps which can effectively improve your device performance. And you can also increase your phone battery life & its performance with battery calibrator application. You can change your android Mac address when you root your android phone. MAC address means media access control address by this you can use unlimited wifi. You can also change Android id. After changing , you can hack many apps and make more money from referring apps. This is one of the best reason for rooting a android phone. In the custom version of android rom you find many features with more options you have rooted android phone. You can install the custom version of android rom in your phone.They optimized in performance and battery life are updated more frequently that the stock ROMs. >>Trick To Download Facebook, Twitter, Youtube Or Any Online Video. Yes, you can secure your android device from any viruses or attacks. Most of the android antiviruses(like avast or AVG) provide firewall support but you need root access to use that features. Final Words- With root access, you truly own your device and open yourself up to all possibilities other parties try to block. Of Course, the stock or default Android experience is already great but after rooting there are so many benefits. Rooted Android best for hacking purpose, enhance security. Friends now you know what is rooting exactly, Benefits/advantages of rooting, android rooting tricks, boost android security. So, root your android device and do some tricks & tweaks. If you like this post don't forget to share with your friends and Like on facebook. So, Hit on any share button and Facebook Like buttons. Very nice blog and post thanks for share useful information. wonderful post.. I learn so many things from your post..
Great Article… I love to read your articles because your writing style is good, its is very very helpful for all of us and I never get bored while reading your article because, they are becomes a more and more interesting from the starting lines until the end. Thanks for sharing wonderful post..What a innovative post..keep update post regularly..